like termite hills between the trees that the Chinchanu climb. They line up with beastly claws facing the setting sun. 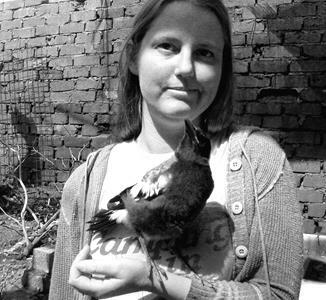 Melanie Rees is an environmental consultant whose work involves playing with soil and plants and animals. When she isn’t gallivanting in the mud or stuck up a tree she writes speculative fiction and poetry. Her work has appeared in magazines such as Cosmos, Penumbra, Daily Science Fiction, Everyday Poets and The School Magazine. In the real world, she lives in a straw house with a menagerie of animals in regional South Australia. Online she lives at http://www.flexirees.wordpress.com/ and on Twitter @FlexiRees.